Lydia was visiting her mother in the house that the Irish charity Rebuild for Bosnia built for the family after they were ethnically cleansed from a town called Kakanj about an hour north of the capital city of Sarajevo. It once had a Catholic population of 11,000 before the war began in 1992 in Bosnia-Herzegovina. Three years later there were only 1,500 Christians remaining in the Kanton of Kakanj. They became known as the Bosnian Refugees just like the Bosniak Muslim displaced people and the ethnic Serb diaspora living in Bosnia Herzegovina. To much of the Western world, there was little difference between an ethnic Croat, Bosnian Muslim and Orthodox Serb who made up the population of Bosnia-Herzegovina. Lydia and Mara were watching the evening news while sitting in the bright spacious and comfortable living room. The patio doors that led out to their vegetable garden were open, and warm air circulated the room. Neither one would look at the other as tears flowed down both their faces. “Why are you crying, Mama?” Lydia’s six-year-old asked. She tried to disguise her tears and began coughing. “It’s my hay fever acting up”, she replied. “Will you run and get Mama a tissue?” she said to her rambunctious son. Moments later he gently handed his mum a toilet roll and had another one for Baba, his grandmother. “You must have hayfever too Baba.” They were looking at the floating bodies of little children, mothers and fathers on the Mediterranean Sea, helpless, homeless people – now refugees fleeing the horrors of a brutal regime and civil war in Syria. The images were all too much for them. Their hearts were heavy and their thoughts were with the Syrian refugees. They knew the pain of exile, uncertainty, terror and not knowing for a moment what the future was going to hold. Their lives as Bosnian Refugees (as all refugees within Bosnia-Herzegovina were referred to at that time) once resembled those families on a large life raft bobbing up and down on rough seas living in permanent fear of their lives ending at any moment. For the people on the boat, it was a rough wave that threatened their very existence. For Lydia and her parents and siblings, it was a sniper or being caught, incarcerated and brutally murdered that might end theirs. “Mama”, Lydia said catching her mother’s attention. Her mother looked her way with dull and sad eyes filled with painful tears. “Yes”, she said. “I never thought I would hear myself say this but if there was ever a time to be a refugee it was in the 1990’s or before that when people had compassion and wanted to help. I’m just very grateful that I’m not a refugee in today’s hostile world because as bad as it was for us we were able to stay in our own country, and if we did have to move we were welcomed everywhere in Europe.” Her mother was busy distracting herself from the thoughts that had invaded her mind. “Do you want coffee,” she asked. Coffee was the antidote to tears and sadness. 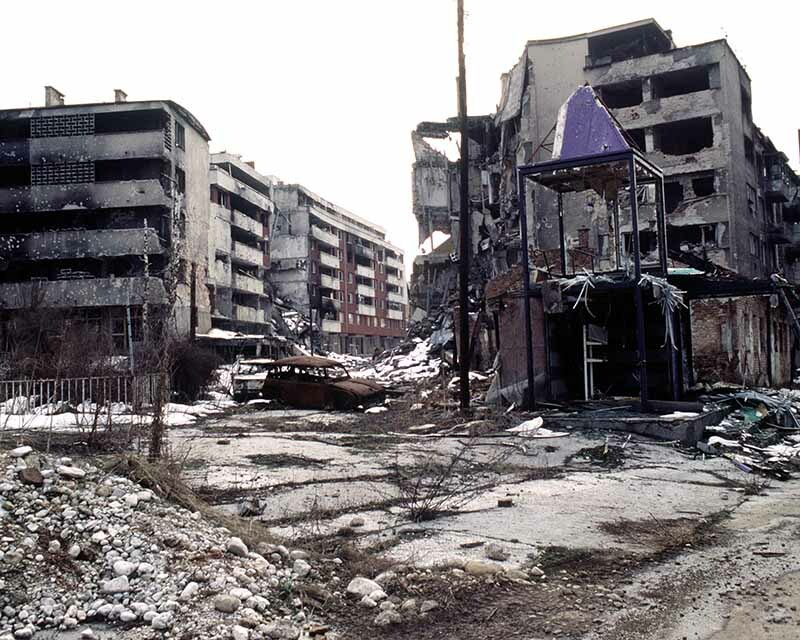 They had drunk gallons of donated coffee throughout their unsettled years as Bosnian refugees moving from one unfamiliar collection centre for displaced people to train carriages to empty and partly bombed out houses – anything that would provide cover over the heads. Lydia was only nine when the great ethnic cleansing of Kakanj happened, and there is very little of the experience she doesn’t remember. Her mother had trained as a nurse, and her father was an engineer. “It wasn’t that we were poor, uneducated and unable to make a decent living. We had a small well-stocked farm, and we produced our own meat, chickens, goat’s milk and cheese, and for many months of the year, we grew vegetables, while the cherry, plum, apple, pear, fig and walnut trees gave us an endless supply of deliciously ripe fruit. We made cherry brandy, walnut and apricot brandy and used it over the cold Winter months. People looked upon us as being wealthy, and so we were because we had everything we needed to live. Then one day all that changed and we learned if we didn’t leave our village a barbaric death awaited us. We packed our pillowcases and closed our front door behind us. It was at that moment we joined the 2.5 million of our country’s displaced population known to the world as Bosnia Refugees and walked into a world of mayhem and chaos”, Mara explained to me when I first met her in a refugee camp ten years after their displacement. “Do you know that it can take up to 30-years to get resettled”, she asked me. “Did you know that at the time of your ethnic cleansing”, I asked. It was incredulous to find such educated and sophisticated people occupying 16 X 12-foot shacks in refugee camps and sharing sickeningly overused communal toilets and showers with twelve other families. I too had been watching the Syrian forced displacement as I had done with Bosnia-Herzegovina displacement between 1992 -1995. I felt nothing but pity for the people forced into exile. I looked at the thousands of people walking for miles and miles and wondered how many top doctor’s, professors, engineers, lawyers and professional people were amongst them. Knowing how the mood in Europe had changed towards displaced people in the past twenty years it was evident to me that the displaced Syrians were going to be in mass refugee camps for the next 10 – 20 years and I shuddered at the thought. For those who decided to leave at the onset of the war in 2011 and 2012, they were the fortunate ones who got into Europe before the attitude changed. 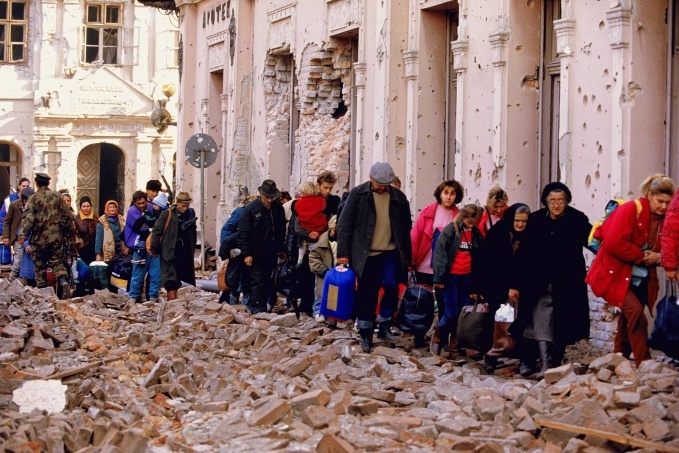 When I first began working to rebuild the homes and lives of displaced families in Bosnia-Herzegovina through the work of the charity Rebuild for Bosnia in 1999, I was met with much resistance from many people and in particular men. I knew they would never say such hurtful things as how I was wasting my time in my attempts to help “that lot”. I knew they didn’t understand the real truth of displacement as it lies far from what the headlines portray. I was aware that if they had been exposed to the unfortunate people forced into tin shacks, as I had, they would be boarding the next plane out there to offer help. During the early years when I was explaining the work I was doing with refugees in Bosnia-Herzegovina, I was asked many times why the displaced didn’t go back to where they came from. My answer is the same today as it was then – they can’t because their homes and villages are destroyed or taken over by another ethnicity. Their past can never be revisited, unlike our heritage where we can traverse the road to see where our ancestors came from and show our young where grandma and granddad were born and raised and where they went to school. It may take another two generations before the former Bosnian Refugees can do that, that’s if they’re ever able to cope with it emotionally. 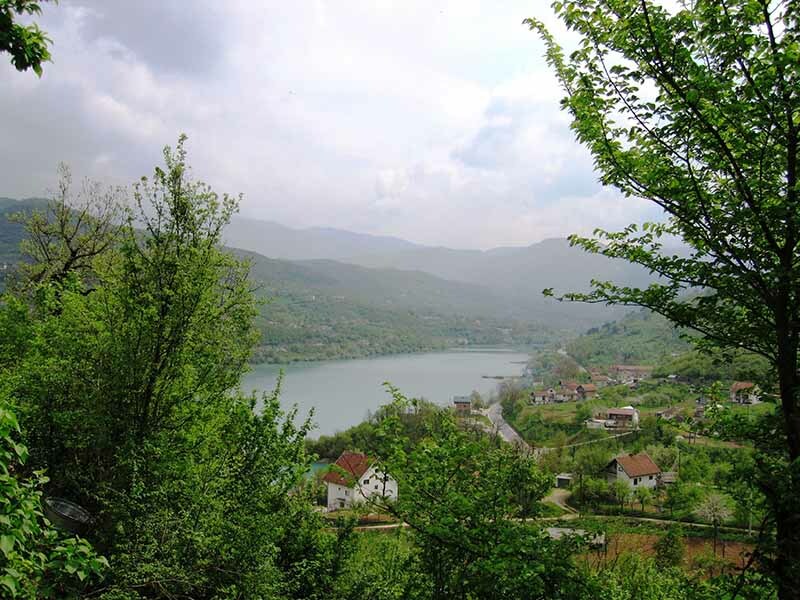 Many times I went back to the lost villages of Kakanj and Konjic to see where the Bosnia Refugees came from and to experience what it was like to live there. I was stunned to see how magnificently beautiful the landscape was with the alpine covered hills and lakes beneath them, with rivers that ran through amazing mountain canyons with crystal clear waters and cascading waterfalls. How could anyone think that these displaced people opted for a life of displacement pushed onto the hard Herzegovina rock where you had to blast the rock with dynamite to reach water. Instead of acres of arable land to grow vegetable and fruit on, they had to scratch in between rock to find a piece of soil to plant a seed in. Displacement can sometimes be forever for some people, and without our help, it will continue to be so. Rebuild for Bosnia raised and spent four million euros rehousing and resettling displaced people giving them a new home, some land and a bright new future. Does every displaced, vulnerable child, aged and worn old person, poor widow and a disabled person not deserve that chance? I believe they do. 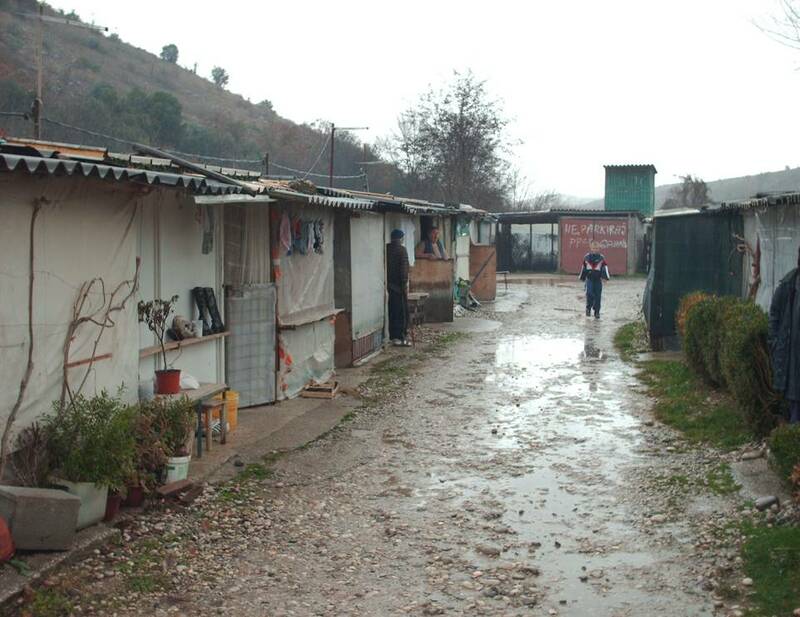 This entry was posted in Blog and tagged Bosnia-Herzegovina displacement, refugee crisis, Refugees. Bookmark the permalink.